If you’re a do-it-yourself (DIY) kind of person, then you need to have a good oscillating tool in your arsenal. Not all products are made equal, so knowing the right features to look for is vital in selecting the best oscillating tool for your convenient use. Knowing the features that you need doesn’t only streamline your choices, but it also prevents you from spending more than you should. With the growing popularity of oscillating tools for DIY projects, it can’t be helped that there are a lot of brands available in the market now. If you like to get an idea of what oscillating tool might work for your needs, check our guidelines and reviews below. One of the qualities that you should look for in a good oscillating tool is its great ease of use. Since you’ll be holding it in one hand, it would be nice if it’s not too heavy. Most importantly, the accessory changes and adjustments should be easily done without the need of additional tools. To see clearly even in dark lights, it would be great if a model has an LED work light. If you can easily be bothered by noise and vibrations, then looking for a model that does a quiet operation will be a great relief. Though it will be impossible to find a model that doesn’t create any noise and vibrations at all, choosing the quietest model can be sufficient. A powerful motor is much-desired if you want an oscillating tool with maximum performance. Since the power of the motor can be determined by amps, the higher the amps the better. The models reviewed below have motors ranging from 1.5 to 2.5 amps. For better control and optimal results, you need to look for a unit with a comfortable grip. Since you’ll be holding the unit with your hand when in use, make sure that your fingers are enclosed tightly on the barrel. An overmold grip is what your unit should have to improve comfort. To create versatile tasks, your unit should have a variable speed. Sanding jobs become more manageable when you do them at slow speeds. Higher speeds create cutting and grinding easier. Most models allow you to change the speed through a dial. During this hard times, it is wise to spend more intelligently. You don’t want to overspend more than you should. The best way to go is to set a budget and find a product that has all the features you need. Most of the products reviewed below are priced below $100, but their features are not compromised. The GMT15A is made of a durable die-cast aluminum casing. 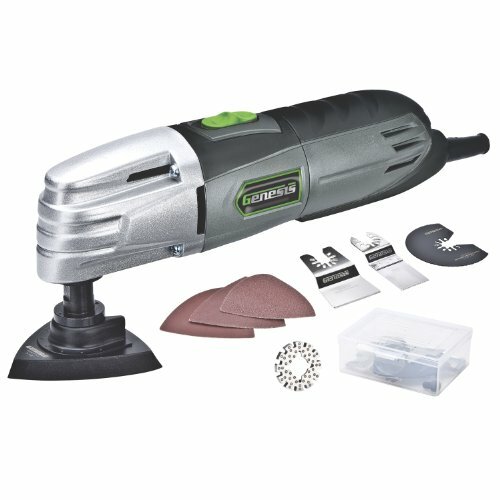 At 1.5 amps, this unit can trim cabinets, remove vinyl flooring, and chisel out door hinges. This tool includes a sanding pad, scraping blade, saw blade, sandpaper, and Allen wrench. 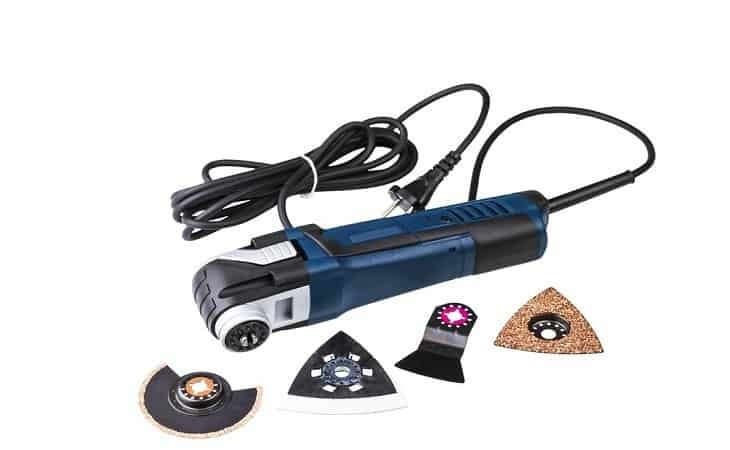 The Dremel MM20-07 is built with a 2.3 amp motor which can easily handle a huge variety of applications- cutting, grinding, sanding, scraping, and grout removal. What I love is its variable speed which allows you to change the speed to suit various materials. For ease of use, a separate on/off switch is designed to keep the speed setting. This oscillating tool kit includes six accessories including cutting blades and sandpaper sheets. 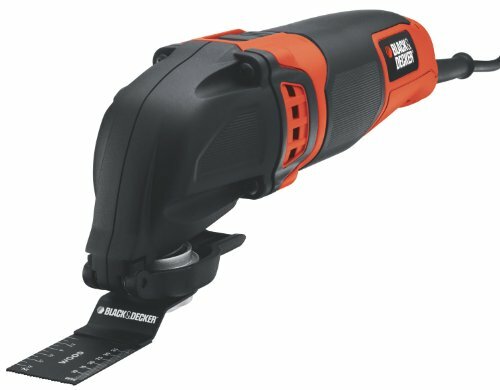 The Black & Decker BD200MTB features a quick release lever for easy change of accessories. This 2.5 amp multi-tool is built with a variable speed dial that can offer six different speed settings to offer high precision performance. The BD200MTB includes 13 accessories including a metal/wood blade, sanding base, and sandpaper sheets. This also comes with a 2-year warranty for parts repair and replacements. You can also handle and control this unit more easily with its comfort grips. The Porter ﻿Cable PCC710B comes with a 2 Finger Tool-Free System that makes the adjustment and change of accessories fast and easy. A variable speed dial is built to change the speed for better control and performance. What I love is its LED work light which guides you in dark lighting conditions. This oscillating tool comes with 20 accessories which includes sanding papers, wood and metal blades, and a rigid scraper. A 3-positon overmold grip is designed to give comfort and reduce the vibration felt when in use. You can get any parts replaced or fixed with its 3-year limited warranty coverage. 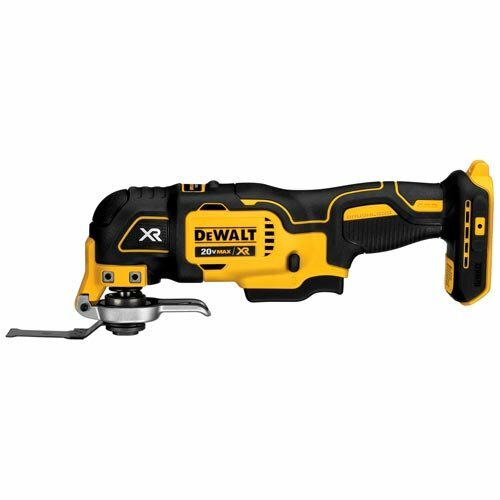 The DEWALT DCS355B allows you to change accessories without the need of wrenches. Built with a bright LED light, you can still do your work even in dark light conditions. A dual grip variable speed trigger enables you to change the speed to suit every application. This unit comes with several accessories including a wood blade and universal adapter. You can also take advantage of its 3-year limited warranty. An oscillating tool, also known as multitool, is a hand-held device which can make a lot of various tasks. It is commonly used for sanding, cutting, and scraping materials. You can do all these tasks thanks to its multiple attachments that comes with the package. This tool works by moving its blade on a surface in high speed. Some models have a variable speed which can allow you to control the performance of your machine. Others even have an LED light to illuminate your work under dim lighting conditions. An oscillating tool is useful for flush cutting wooden doors. Before you install the doors in your homes, you can trim the ends and casings to get a smooth surface. Cutting metals and woods can be made with precision and ease with this kind of tool. This tool also comes in handy when removing baseboard, wood moldings, and window casings. Using the grout attachment can help remove the grout from your tiled floors and walls. 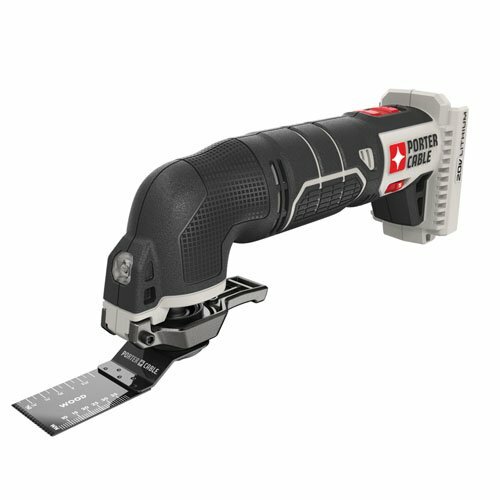 Among our top five picks, the Porter CABLE PCC710B is the best oscillating tool because it has met most of the qualities that you should look for as mentioned above. More specifically, the PCC710B has a great ease of use, an LED light, variable speed, and a comfortable grip.